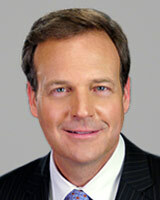 Steve Daniels is the co-anchor of ABC11 Eyewitness News at 5:00 pm, 6:00 pm, and 11:00 pm Monday-Friday. Steve also anchors ABC11 Eyewitness News at 10 pm weeknights on CW22. In addition, Steve anchors Breaking News coverage from the Breaking News Center. Steve joined ABC11 Eyewitness News in June, 1999. Steve is also the ABC11 investigative reporter. One of his proudest moments came in December 2007, when a new state law took effect banning school bus drivers from using cell-phones while behind the wheel. Legislators took action as a direct result of Steve's investigative report "Dialing While Driving". The undercover report exposed school bus drivers using cell-phones while driving bus loads of children. Before coming to WTVD, Steve was a correspondent for "Dateline NBC". Steve traveled the country and the world interviewing newsmakers and reporting stories for the national newsmagazine program. Steve also appeared on the "Today" show, "NBC Nightly News", MSNBC, and CNBC. Prior to that, Steve was the weekday 5 and 5:30 pm anchor and Senior Investigative Reporter for WTVJ in Miami. While in Miami, Steve was honored with seven Emmys and several other national awards for outstanding investigative reporting. Steve also anchored the weekend news at KCNC in Denver. Steve is a graduate of the University of Missouri School of Journalism. He lives in the Triangle with his wife and two children. Request Steve to speak at your event. The Durham Bulls are celebrating Easter with an Easter Egg Hunt for kids and a ballgame for the entire family on Sunday afternoon at the DBAP. The Wake County School district is making a new push to fill its ongoing shortage of school bus drivers with a job fair.